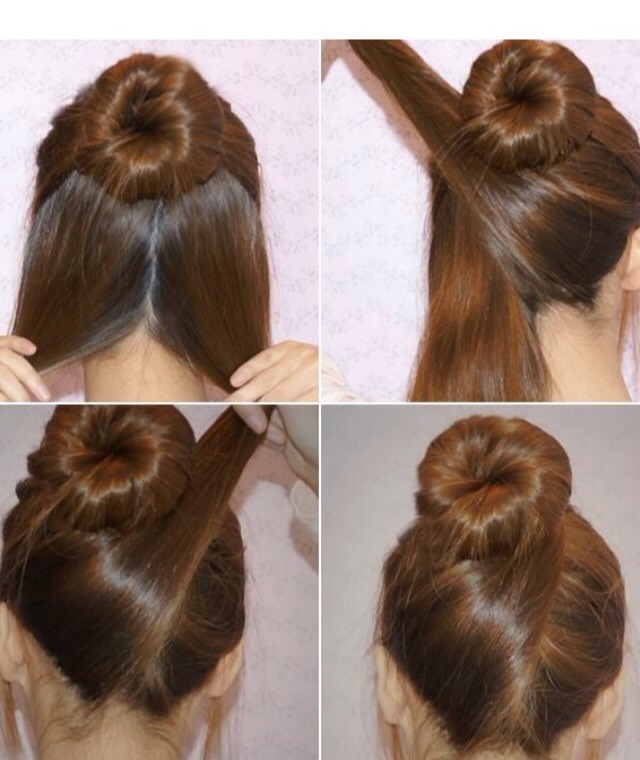 First make a sock bun from upper half of the hair. Then part the lower hair in half. Take one part to the opposite side, wind it around the bun and secure with bobby pins. Do the same with the second part so that it is crossing the first part.